Bump2baby is a series of 3 classes to guide women through nutritional needs during pregnancy and early motherhood. 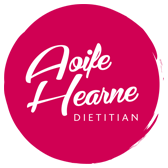 During Aoife’s first pregnancy, she realised how little qualified nutrition support their was for women during pregnancy. And so bump2baby was born. Good nutrition through the 1000 days from conception to 2 years of age makes a big difference in the health of a baby. Bump2Baby’s goal is to support women with evidence based information during this time.